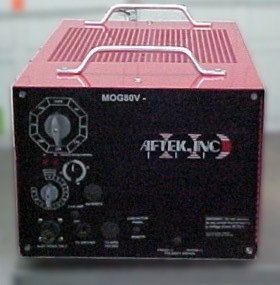 AFTek manufactures a full line of Resistor Control Stations (GRIDS), and the ONLY resistor controlled MIG welding system. 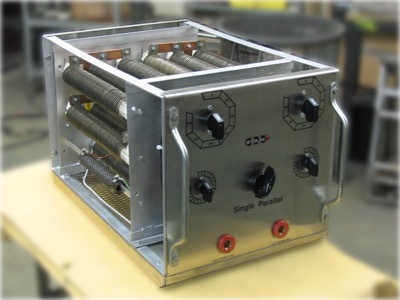 The patented AFTek Demand Pulse MIG Welding System can weld with any commercial solid wire and any commercial flux-core, including self-shielded wires which are made for constant voltage only operation. While the AFTek System is "Constant Current", the Demand Pulse Control simulates constant voltage in such a way that all the CV processes can be used. Exceptional performance with high nickel, stainless steel, aluminum, and of course, carbon steels. AFTek controls can be furnished in a variety of packages from stand-alone singles to racks of eight arcs with a single connector. If you are looking for exceptional welds, give AFtek a call. AFTek Resistor Control Stations are built with exclusive Edge-Wound Resistors, using a proprietary alloy of iron and aluminum. In normal use, the resistors are rust-resistant, and run cooler than most. Switches are the heaviest duty available, and nothing is spared to furnish you with the highest quality product of this kind. 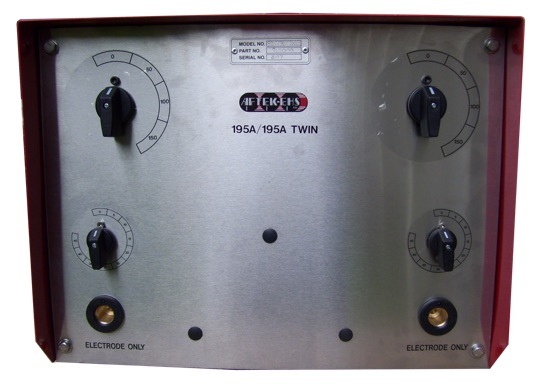 The MIG welding system uses simple electronic switches, with high capacity MOSFETS to pulse the output, but at current and voltage levels similar to "short-arc". 909001 HPHV80 Single Polarity with shroud "One Hander"
805027 Pipeliner Packaged Single Pulse module for "5P"
805036 Pipeliner Packaged Single Pulse module for "5P"